Here, Jocelyn Mader tells her story about pregnancy after breast cancer. Interested in learning more about this topic? Join us March 2 for a free webinar that will address how cancer treatment might affect your fertility, tests you can get to assess your fertility after treatment, the impact of pregnancy on risk of recurrence, what to do when pregnancy doesn’t happen easily, and more. The year 2014 was to be a year full of love and surprises as I married my husband on May 31. We went to Las Vegas a week later for our honeymoon. During our last night there, I felt an itch on my left breast. As I was itching, I felt a significant lump and I instantly felt sick to my stomach. My husband came in from the other room and asked “what's wrong?” I called my OB/GYN the next morning. We flew home on Thursday and I was scheduled to see my doctor at 8 a.m. on Friday. I tried my hardest not to let my emotions take over, as I wanted to enjoy our last day of our honeymoon, but it was nearly impossible. Returning home was comforting but scary. My doctor met with us and sent me to a top-rated imaging center across town. I had to wait 4 days for the results. They called and requested I come back for a core needle biopsy because the images were unclear. I had 3 more days of waiting. Then the phone call that I knew was going to happen, but dreaded, came. It lasted 30 seconds. I was diagnosed with stage IIIB invasive ductal carcinoma at the age of 32. I was a newlywed and a mother to a 4-year-old girl. I had no idea if I was going to live or die. My treatment plan was aggressive and fast paced. I had eight rounds of chemotherapy every 2 weeks, a lumpectomy with axillary node dissection and 38 rounds of radiation therapy between August 2014 and March 2015. I received six injections over a course of 4 months. Even with the injections, I would not know if the cancer treatments had made me infertile until we started trying to conceive. We received the “go ahead” from my medical oncologist in September 2015 to expand our family. I was 6 months-post active treatment and not on any other medicine. We were fortunate to conceive naturally. We became pregnant in February 2016, but it ended in a chemical pregnancy (when a pregnancy ends very early on) at 4 weeks. I had never experienced a miscarriage before and the feeling of devastation was overwhelming. I became pregnant again in July 2016. I did not get my hopes up because I knew my heart would not be able to handle another loss. My life was already so different post-cancer that I had accepted the reality that expanding our family was not meant to be. My OB/GYN checked my pregnancy hormone levels on three separate occasions. We received confirmation of “you’re pregnant” at the beginning of August 2016. The journey has been a roller coaster ride. Most days, I love being pregnant. Other days, I am worn out and exhausted. I believe cancer fatigue plus the normal tiredness of a pregnancy makes for achy joints and a short temper. I am reminded of the days of chemotherapy treatment if I push too hard physically. A few busy days lead to a couple days of rest. Emotionally, I have tried to enjoy each moment because I won't ever have this experience again. I want to remember the good, the bad and the ugly. I'm looking forward to sharing my cancer story with our baby girl. She's a miracle and loved beyond measure. If you would have told me 3 years ago we would have a stroller in the garage, I would have said “in your dreams.” I can't believe a baby will be in our home in approximately 6-7 weeks. My cancer journey is as unique as the next person’s but one thing we all have in common is hope – hope for the present and hope for the future. Jocelyn Mader is 35 years old and lives in Salem, Ohio. She works as a preschool intervention specialist. 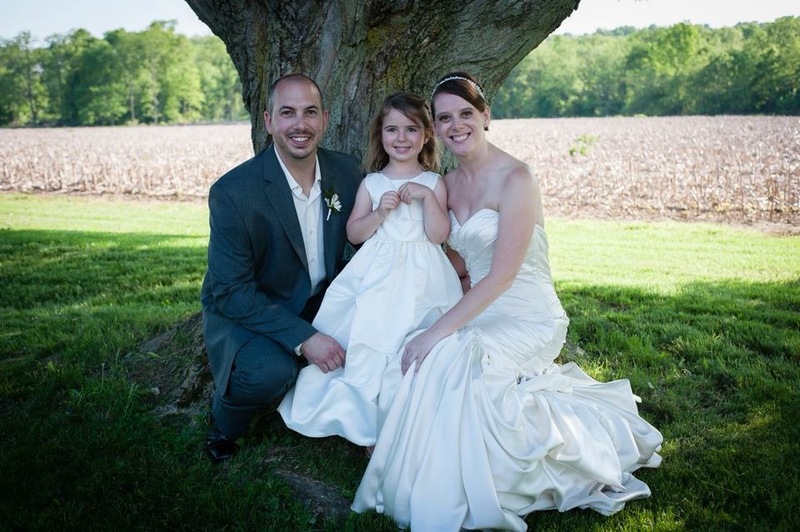 Jocelyn was diagnosed with stage IIIB breast cancer in 2014 at age 32, shortly after getting married. Reading about your Path to Pregnancy after Breast Cancer, inspired to know about your determination "I have tried to enjoy each moment because I won't ever have this experience again". good luck for your future. Can I ask your pathology? HER II +\-? I am curious, because I would like to get pregnant again as well. Terrified of reoccurrence, even though with hormone - and HER II +. Congratulations on your pregnancy. Thanks for sharing this story! What a journey. I'd like to learn more about this journey for a blog post I am writing. Are you available to discuss? Thanks!